Hanover, VA - National Night Out will take place Tuesday, August 4, 2015. National Night Out is an annual campaign that promotes police-community partnerships and neighborhood camaraderie to make our communities safer. Neighborhoods, businesses, and community organizations across the nation host block parties, festivals, parades, cookouts and other various community events with safety demonstrations, seminars, youth events, visits from emergency personnel and exhibits. “Our mission is to continue to build strong partnerships with our citizens and community partners. Participating in National Night Out is a great way to meet our neighbors, raise awareness about crime-prevention programs, and send a message that our communities are organized and committed to partnering with each other and the Sheriff’s Office to keep Hanover a safe place to live, work, and raise a family,” said Colonel David R. Hines. Start planning now! 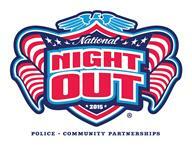 If your neighborhood, business, or house of worship is planning to have an event to celebrate National Night Out, or you would like more information about National Night Out, please contact Deputy Barry Bland at 804-365-7116 or by email at [email protected] by July 24, 2015 so that we can make plans to stop by and thank the community for their support in keeping our communities safe.